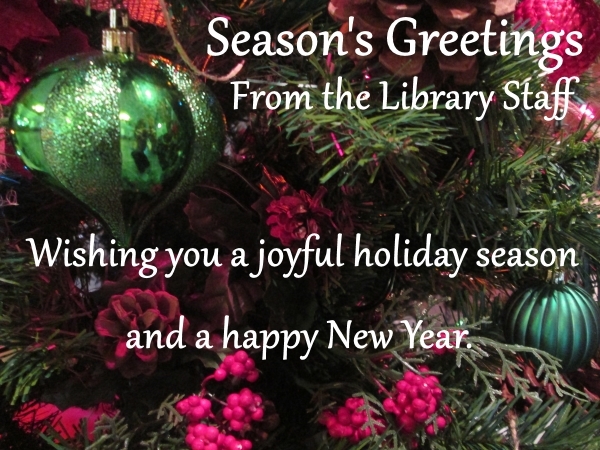 The library will be closed starting December 19, 2015 and will reopen on January 4th, 2016. We wish you a happy holiday season and a wonderful new year! If you have any questions or need assistance, please email us at library@tusculum.edu. You are currently browsing the GARLAND LIBRARY weblog archives for December, 2015.